The next generation of Office is coming, and you can see it now: Microsoft opened up Office 2016, to public preview on Monday morning. The company also said that its current generation of Office universal apps will go live on Windows phones soon. 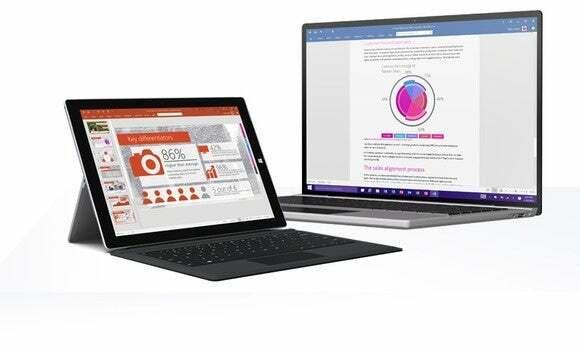 Microsoft is still on track to ship the new version of Office 2016 by this fall, company executives said at its Ignite conference in Chicago, as they try to convince an audience of IT professionals to adopt the Microsoft vision. 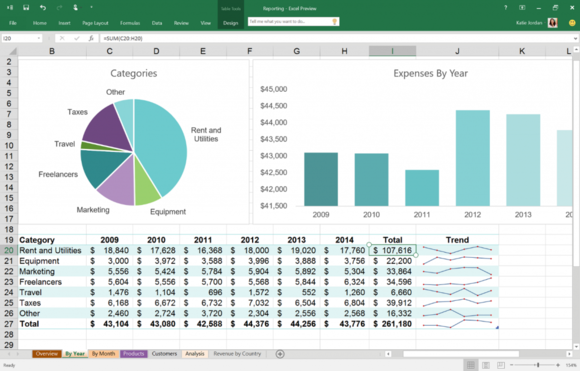 The Office 2016 preview track will be much like the Windows 10 Insider program. Users can download the new Office 2016 software and will receive new preview updates as Microsoft rolls them out. Microsoft previously launched a developer preview of Office 2016 for IT departments, but this is a more full-featured release. You don't need an existing Office 365 subscription or have Office already installed on your PC, either. 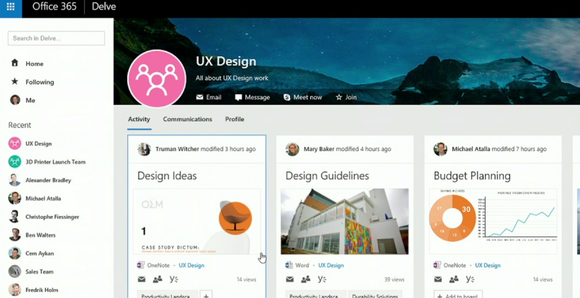 Delve, one of the new Office apps, has a new Groups feature. “While you’ve seen us focus on tuning Office for different platforms over the last year, make no mistake, Office on Windows desktop is central to our strategy,” Jared Spataro, general manager for the Office marketing team, wrote in a blog post. Why this matters: Microsoft is obviously busy on showing off Windows 10 via its own insider program. But Office remains one of the tentpole apps for the company, and it’s important for IT pros and consumers to get their hands on their own preview versions. Excel 2016, part of Office 2016. Spataro detailed several key features that would define Office 2016. Real-time collaboration, a feature that Google has touted with its Google Apps services for years, will make an appearance, Spataro said. Office 2016 will also increasingly prioritize the ability to access information “outside” Office—whether it be on the Web, via Bing, or in documents stored in OneDrive, without leaving the application, executives said. New intelligence features such as one-click forecasting are designed for business, with features such as Power Query pulling in relevant data around each user. Joe Belfiore, the corporate vice president of the operating systems group at Microsoft, also showed off a new security feature that allows users to mix and match personal documents with sensitive, encrypted documents from the user's work. Microsoft's current encryption solution, BitLocker, encrypts and secures the whole drive. But in Office 2016, documents can be encrypted on a file-by-file basis, which allows them to mingle with a user's personal documents. Belfiore even showed the capability for users to be able to right-click and encrypt documents according to the company policy. And if a file is copied to a USB key, only the file can be read, he said. "Think about the worst cases, where...documents are lost by accident. This is going to make the right thing happen by default," he said during his Ignite presentation. With Word 2016, you can mix and match sensitive company data with personal data. The sensitive data (encrypted, in this example) shows up in a green font. Microsoft also announced Office Groups, a way for teams to collaborate inside Office applications. 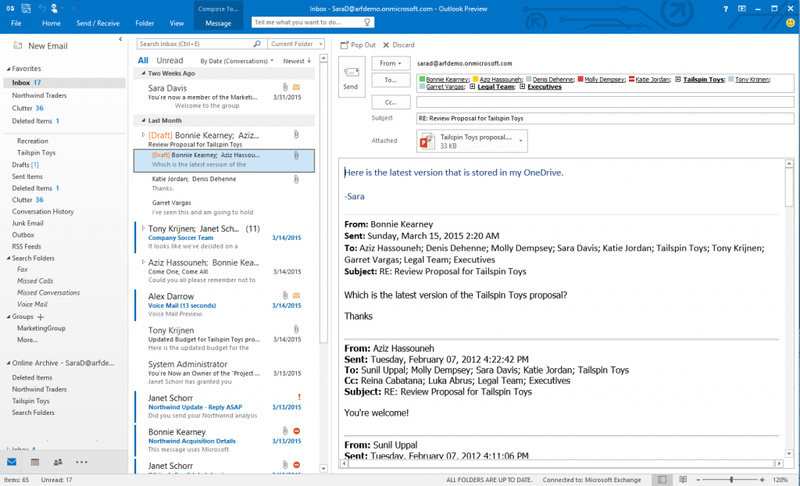 The company showed the Office 365 Groups “hub” in Office Delve and group conversation in Outlook 2016. Another new feature, organizational analytics in Office Delve, tracks trends such as “engagement, reach and work-life balance,” Microsoft said. The Excel universal app is now live for Windows 10 phones. Making Office apps ubiquitous has been one of the core tenets of the new Office under Satya Nadella. Microsoft highlighted the new universal Office apps for Windows 10, but said that the apps aren't immediately available for Windows 10 phones. The release of the Microsoft universal apps for Windows phones slightly misses Microsoft’s own timetable to release them by the end of April. Microsoft’s new apps will essentially replace Office Mobile, Microsoft’s first stab at bringing Office apps to the mobile platform. 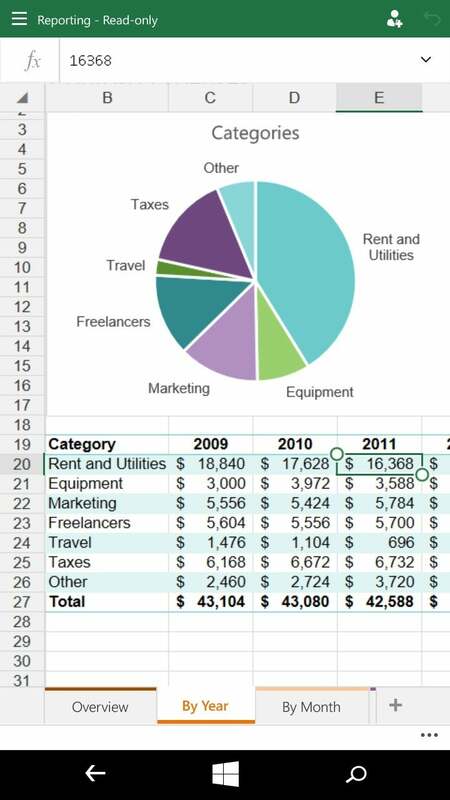 But Office Mobile was limited in its editing and content-creation capabilities, and lacked the richness of desktop apps. Microsoft claims the new apps will change that. Microsoft executives said last month that the new universal apps will work on a “freemium” model, providing basic capabilities for free, but also encouraging users to move to an Office 365 subscription to unlock more advanced capabilities. Microsoft also said Office has been downloaded 100 million times for iOS and Android combined. Updated at 11:00 AM to correct an earlier version of the story that incorrectly stated that the universal apps for Windows 10 phones have been released. They will be released "soon," according to a Microsoft spokeswoman.